People the countdown is upon us! We only have 30 more days to wait before dancing on top of one another upon that magical polo field in Indio. Yes, I'm talking about our glorious Southern California festival. The big daddy of them all… Coachella! Those 30 days will flash before our eyes but before hitting the road we at The Owl Mag thought we'd run a countdown featuring those artists we think you'd be fools to miss. Without further ado… I start off our countdown with lo-fi Brooklyn band, Oberhofer. histicated and anything but stuffy. His music oozes with cheer and I've heard his live set is much the same. And from that moment on I was hooked. Oberhofer's debut album, Time Capsules II, was released last March with the single “Gotta Go” released later in August. 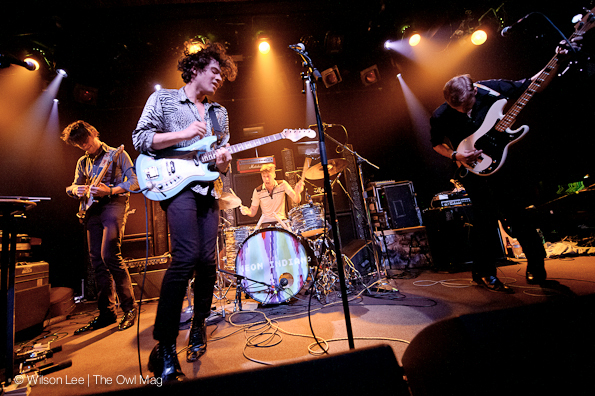 Come see Oberhofer with me, won't you?